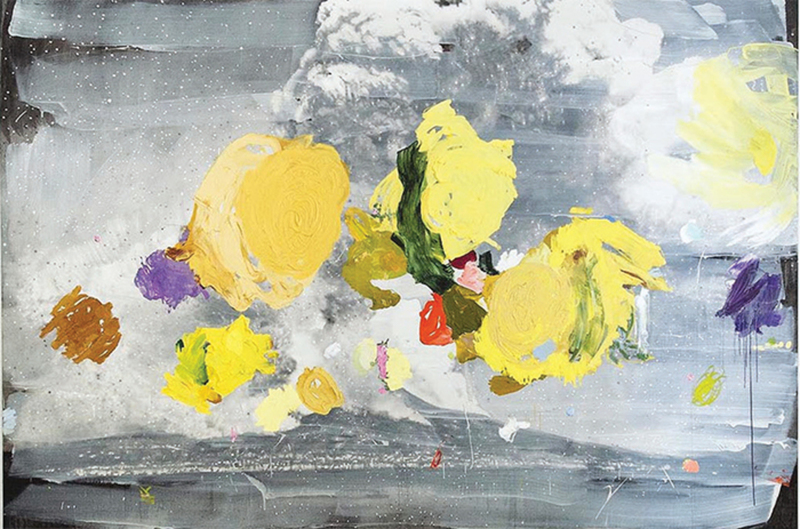 Ida Tursic and Wilfried Mille, Vesuvio y Giallo di Napoli (Vesuvius and Naples Yellow), 2015, oil and silver on canvas, 8' 2 3/8“ × 12' 5 5/8” × 2". Ida Tursic and Wilfried Mille have long sought to redefine painting’s status by wedding the deconstruction of the medium’s linguistic systems with hyperrealistic representation. Via strategies of displacement, ironic reversal, and stylistic quotationand by channeling a motley crew of forefathers ranging from Cy Twombly to Sigmar Polke, from Niele Toroni to Ed Ruscha and Richard Princethe Dijon, France–based duo self-reflexively investigate painting’s codes, conditions, and modalities. 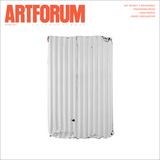 The artists freely cross-pollinate traditional and contemporary techniques of image reproduction, and the resulting picturessuspended between abstraction and figurationare ambiguous products of both the gestures of painting and the calculations of postproduction.